It’s Peak Bloom on Monday, so depending on your tolerance for hordes of humans, you might be avoiding the Tidal Basin this weekend— or maybe you’ll just be throwing yourself into the scrum of it all. You do you. Tonight,Mosaic Theater Company presents Native Son at the Atlas Performing Arts Center. Richard Wright’s classic novel about life of the South Side of Chicago in the 1930s is brought to the stage. Tickets are $20-$35 and the show runs through April 28th. Friday morning at 10a.m. Arts of the Horizons returns to the Atlas with another show designed for the youngest audiences, Beep Beep. Kiddos ages 2-5 will love this story of an ice cream truck breaking down on a hot day. Tickets are $12 for everyone over the age of 1 year. That evening at the Folger is Taste of the Mediterranean which highlights music from both Spain and Italy. The instrumental concert features the soprano and wind ensemble Piffaro, The Renaissance Band. Tickets are $25-$42. Harmonius Wail will be at The Corner Store. The jazzy trio featuring mandolin, guitar and vocals performs a concert of swing, and gypsy jazz. The concert begins at 7 p.m. and tickets are $25. Saturday, we celebrate the kickoff of the Second phase of The Wharf project. Oh, it is not done yet, folks! There is more to come! Councilmember Charles Allen, Mayor Bowser, Deputy Mayor Brian Kenner and the development team will be on hand to launch Phase Two. All are invited down from 1 p.m. to 2 p.m. to join the festivities, which will include a Truck Touch, live music and other activities. 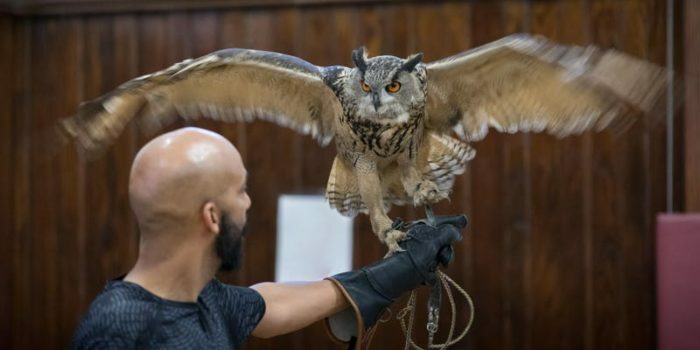 Sunday at 1 p.m. is time for a Raptor Encounter at the Matthew Henson Earth Conservation Center. Raptor handlers will introduce you to Sky the red-tailed hawk, Mr. Hoots the Eurasian Eagle owl, Petunia the Harris Hawk. There will even be opportunity for photos because it is 2019. Tickets are $20. Monday evening at 7 p.m. at the Northeast Library is another edition of Village Voices, the lecture series sponsored by Capitol Hill Village. This month’s speaker, Carol McCabe Booker, will speak about Alice Dunnigan a pioneer of the Black Press. Dunnigan was the first African American female White House correspondent. The lecture is free and open to all.